The growth of contactless payments has played a big part in that, making even small payments very convenient if you’re using a card. How many people use contactless? According to UK Finance, around one in three card payments are now made using contactless technology, with usage having jumped by a third over the past year. 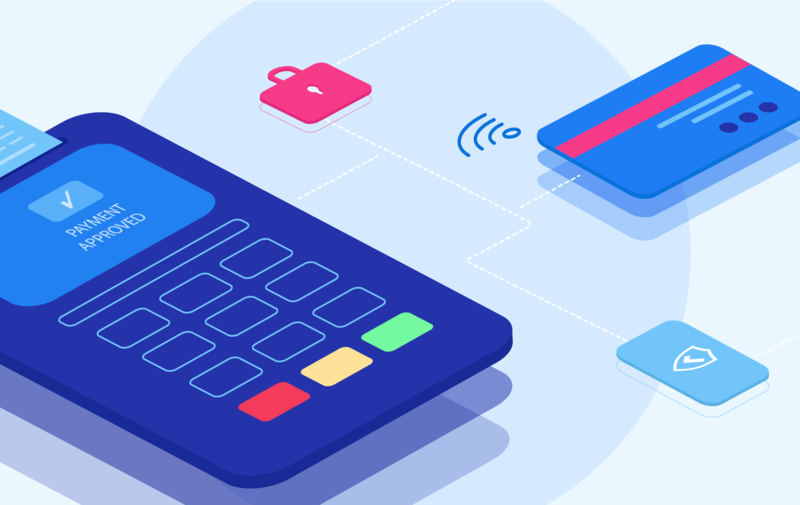 Around 6.3 billion payments were made with contactless debit cards in 2017, worth a collective £58bn, while there was 1.1 billion contactless credit card payments, worth around £11 billion. There are a few reasons that contactless payments have become so popular. For starters, there’s the convenience - far more shops accept this form of payment now, while people have become more comfortable with quickly placing their card over the machine rather than having to enter a PIN. There’s also the increase in the amount that you can spend in a single contactless purchase, which was hiked from £20 to £30 back in 2015. In fact, some want it to go even higher - a study by GoCompare found that 42% of regular contactless users want the limit to be increased, with some wanting the option of making payments of more than £100 through contactless. But while we are using contactless more often, and for bigger purchases, scammers have been quick to spot the opportunity to cash in on contactless. So how do you protect yourself from contactless fraud? According to data released earlier this year by the national reporting centre Action Fraud, there were arou 2,740 cases of thefts relating to contactless cards, worth almost £1.8 million, in 2018. That’s almost double the 1,440 cases, worth just £711,000, over 2017. There are a few different techniques the crooks can use to take advantage of the technology, and with it empty your bank account. The first is very simple - the thief steals the card itself and then heads off to make as many purchases as possible before you realise it’s gone and contact your bank. The only way to really protect yourself here is to ensure that you keep your cards somewhere secure when you’re out and about. Another method that has received plenty of coverage in the media is for scammers to head out onto public transport armed with some form of payment device. The idea is that by brushing up close against fellow commuters they may be able to cause a transaction to take place and pocket your cash. It’s worth noting that UK Finance argues there has never been a verified case of this actually happening out in the real world..
Then there is skimming. This works in a similar way, in that fraudsters use a gadget to read the details of your card. They can then attempt to use those details to make purchases online, free from the £30 contactless limit. Consumer champions Which? tested whether this was possible and found they were able to order a £3,000 TV with card details they had skimmed in this way. If you want to make life as difficult as possible for any potential ‘skimmers’ then you might want to consider switching to an RFID wallet, which is lined with aluminium and so makes it that much tougher for card readers to get a signal.